Coupons and voucher codes seem like a simple, effective way to boost sales, but this isn’t necessarily always the case. Big discounts can often have a negative effect on a business (which can be seen in many Groupon case studies) and while voucher codes can be extremely effective, you have to be smart about how you go about implementing and executing the strategy. With a bit of tracking and measurement, you can determine exactly how effective your voucher code email marketing strategy is. Track everything from open rates to click-through-rates and email forwarding to see which email subscribers are most likely to take up your discount offer. If you’re using email marketing to market your special or promotion, you will inherently be sending out newsletters and emails. Instead of focusing solely on people who have already subscribed to your email list, make sure to promote the special on your social media profiles, website and blog as well. Tell people about the special and ask them to register to receive emails from you in order to receive a voucher code. The best piece of advice about implementing a successful email marketing campaign – whether you’re marketing voucher deals or not – is to partner with an experienced digital marketing consultant who can continuously customise and optimise your campaign for you. 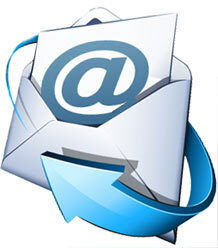 For more information about implementing successful email marketing campaigns, contact WSI OMS today.